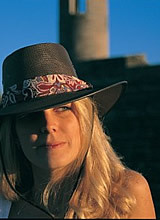 Australian outback hats for travel. Leather and suede handmade hats from SaltChef and BC hats. 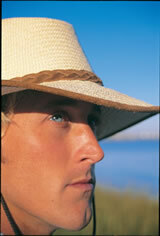 Are you looking for a great handmade hat in that classic outback style? Well your search is over! These hats start with soft and durable steer hide. Then you get to pick your style - from the bush hat that will take a beating to a leather hat that will fold up into a pouch. We even have a hat that you can personalize by changing out the band whenever you want.